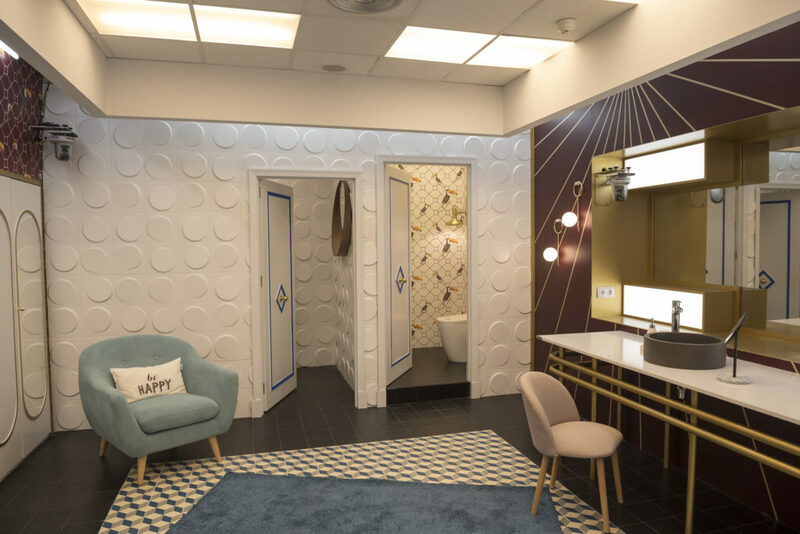 The eighteenth edition of Big Brother Spain, has surprised not only for the contestants but the colorful interior design and mix of styles. 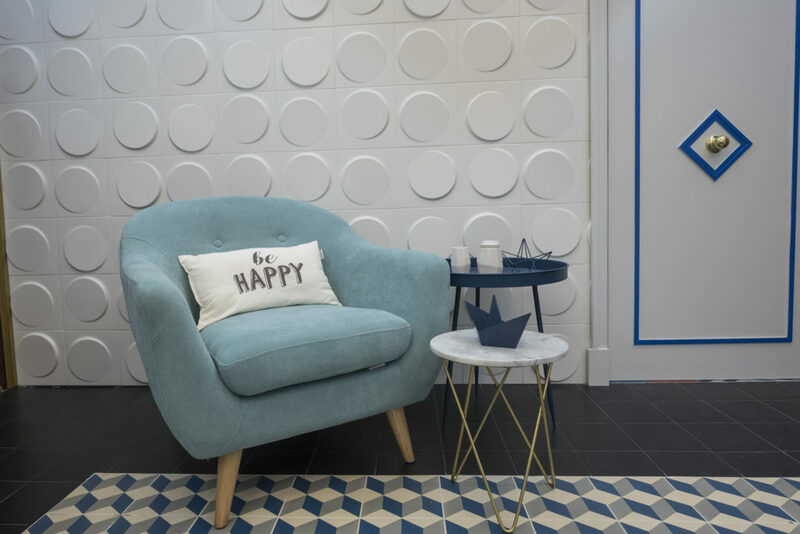 Witness of discussions and moments of passion, the relief Luna, of the Shapes collection has seen parading up to 100 people through the most popular house on television. What was your inspiration to create the relief Luna? As the name suggests, I was inspired by the moon (NDLR Luna is the Spanish for Moon). This satellite that seems to appear and disappear depending on the point from which we look at it, has always caught my attention. Also, according to its different phases in which we can appreciate it mostly as a half moon that shades off into vanishment, hence the inclination of the relief to merge with the wall. Drawing our attention to the displacement of the circle on the tile, does it have any concrete meaning? 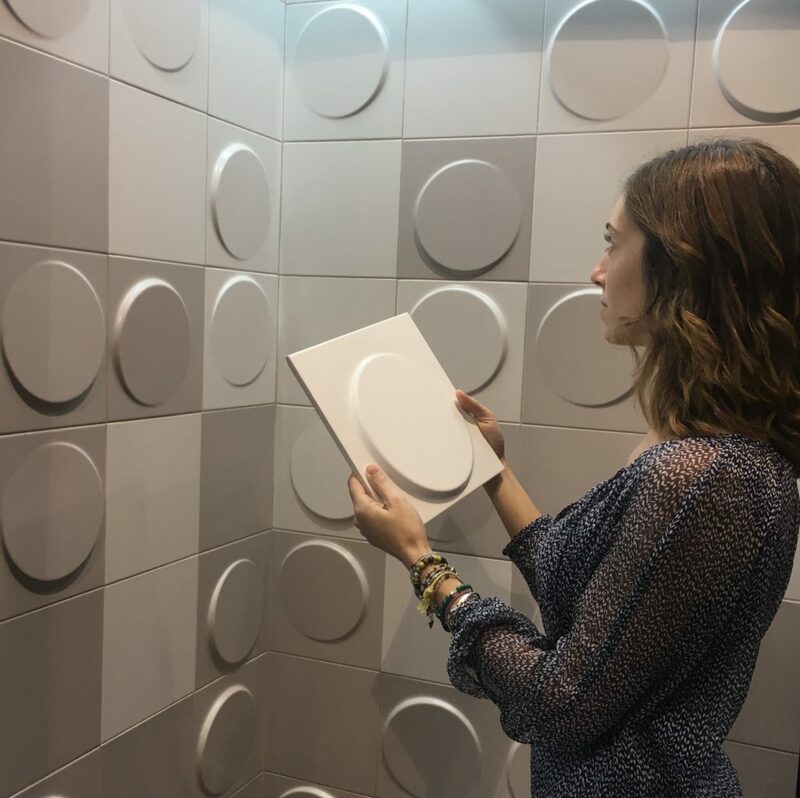 It symbolizes the different positions of the moon in the sky, so, according to where you observe the tile, the inclination produces a different vision accentuating or softening this relief. You will never see the piece in the same way, from the different points in which you can appreciate it. Would you have imagined that your design would be seen by thousands of people? Dune is a company that carries out very important projects and, sometimes, we find our designs in places like hotels or shops on the other side of the world. It is quite rewarding, although the truth is that while you design you do not think about those things. The versatility of this piece and its chromatic range, beyond the white, make Luna the ideal relief to decorate rooms, especially those with natural lighting, as it enhances the play of light and shadows.